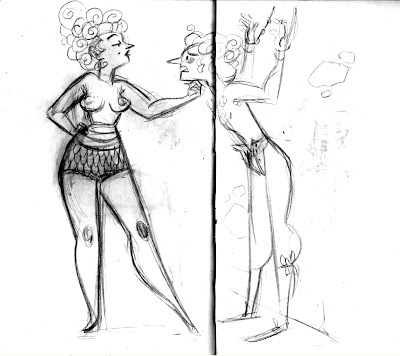 I can't explain to you how much I've missed the presence of burlesque models on a life drawing stage. 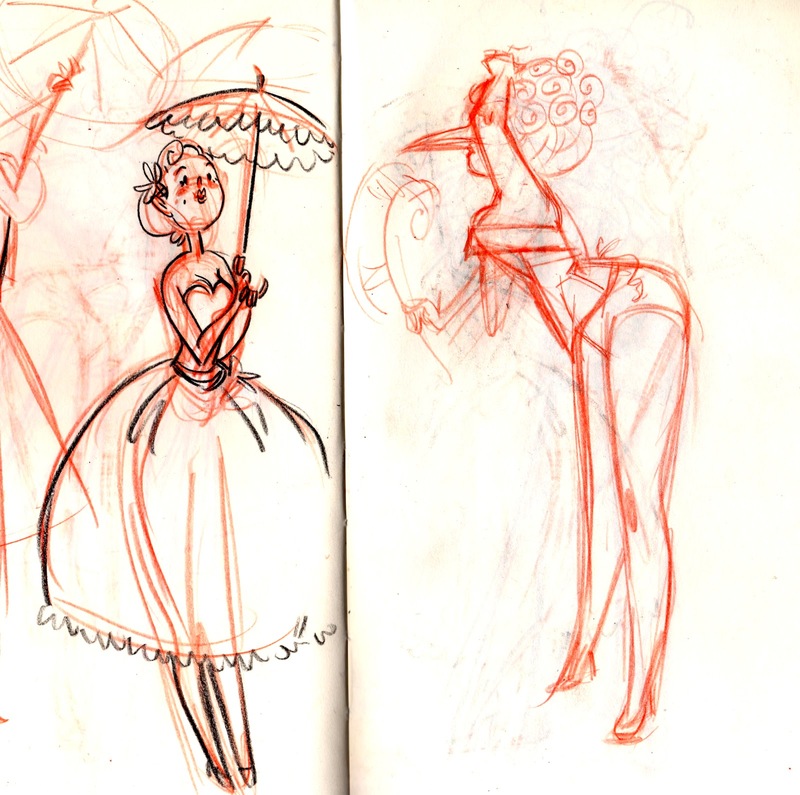 Yesterday I got to get out to Dr. Sketchy once again - just now in Ottawa! It's so great to find out when events like this happen right around the corner. Could not be happier to have a permanent Monday life drawing day! This month's theme was Marie Antoinette. A few of the drawings of the night were themed. The above was themed after (a translation of) Marie Antoinette's last words: "Excuse me sir, I didn't mean to do it." The image above on the right was themed "an incorporation of cake". Above on the left the theme was "find a creative way to decapitate Marie". I kind of used it as a jumping off point. Hopefully I'll have some time to turn that image into a print (that I will put up for sale in my store), because I love the way it turned out. Well I hope you enjoyed the sketch dump! I've been busy with a bit of freelance recently, but I should be posting more soon! 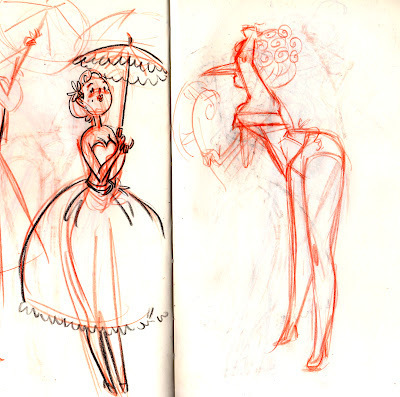 Cool stylized drawings! Dr.Sketchy is awesome! Thanks guys! 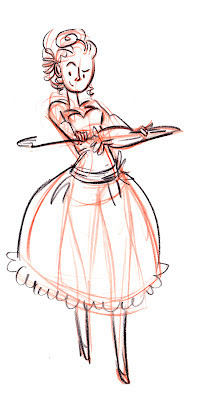 And Colleen - Dr. Sketchy is the best! :D So glad to be back.